Hours after Justin Bieber made his marriage to Hailey Baldwin Instagram official on his account by calling her his “awesome wife,” Baldwin has her marital status official on her own by changing her handle to her married name. Baldwin’s username is now @haileybieber on Instagram, aka Mrs. Justin Bieber. She remains @haileybaldwin on Twitter for now, though that may be because the username @haileybieber is in use by someone else. She also remains Hailey Baldwin on her verified Facebook. Baldwin’s changing of her name professionally isn’t a complete surprise. Baldwin was reported to have filed to register the name Hailey Bieber last month for the purpose of a clothing line, along with her maiden name Hailey Baldwin and HRB3. 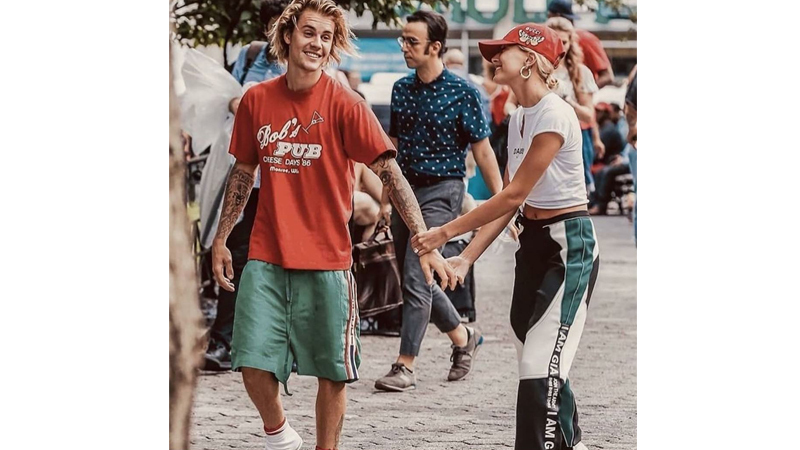 Bieber and Baldwin got married back in September at a New York City courthouse, although they didn’t confirm the news themselves until last month verbally to a fan and today to the world on Instagram. the name “Bieber” on the back of it.